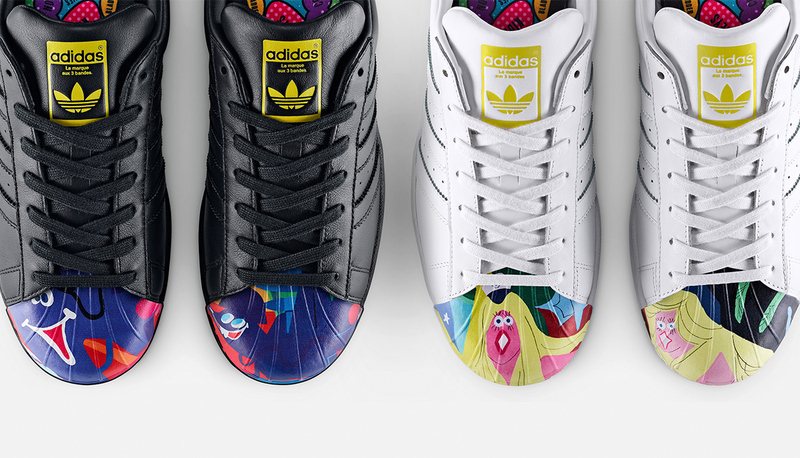 'There are certain people that usher in the changes and the difference...' Introducing the adidas Original Superstar Supershell project curated by Pharrell and some of the top creative minds in the world today. 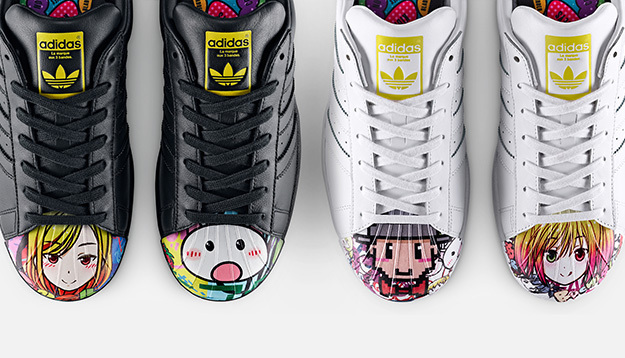 The customised shelltoes are designed hand in hand with Pharrell and the respective artist. Grammy Award winning musician and entrepreneur Pharrell Williams is a unique creative force, using music, fashion, and design to express his distinctive style. 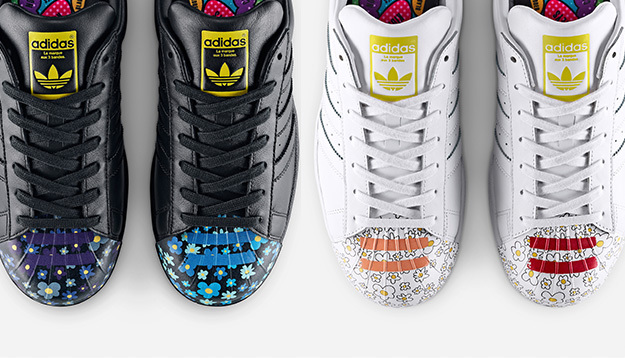 After the success of Supercolor, a concept that captured the attention of the world, Pharrell Williams returns with Supershell. A Japanese contemporary artist based in Saitama Prefecture, Japan. He works in a wide range of media, including painting, sculpture, and video – though his works are all closely related in aesthetics, style, and theme. A celebrated New York artist whose paintings and installations have been exhibited in galleries and museums worldwide, including both the 2001 and 2015 Venice Biennales. His immediate and insistent works draw influence from Saturday morning cartoons, subway graffiti, American popular culture and world events.